Usability is one of the key aspects of web design that is often disregarded. Yet, ideally it should be considered way before even deciding which among the various software development companies to work with to design your website. Be it an e-commerce site or just a basic site that provides information about a product/service, usability should be a very important part and parcel of the whole website or software development process. 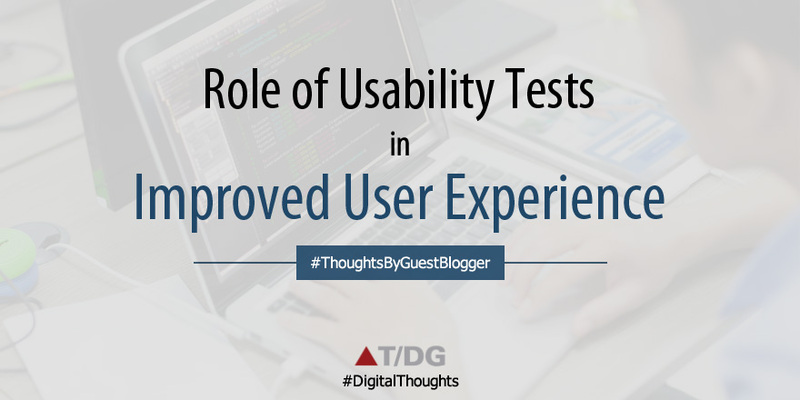 The first step after launching your website should be conducting usability tests. It helps a lot in determining the kind of enhancements that need to be incorporated to the live website in order to improve User experience (UX) and enhance conversion rates. Let’s understand how. One of the major signs that indicate issues of usability in a website is readability. If your users are experiencing readability issues on your site, chances are they will be irritated and go somewhere else. You must find a remedy for readability issues by following the typography usability guidelines and carrying out squint tests. Ensure proper paragraph formatting, suitable amount of white space and properly display of your lists using bullet points to enhance content display, hence readability. Place the design elements, such as banners, text boxes and sidebars, on your site in a way that they will not distract your customers as they peruse the site. Nothing annoys everyday users more than stumbling through a website, unclear how to navigate it. Yet, surprisingly, eliminating bad user experience is actually easier than most people think, and fairly inexpensive too. A surefire way to do this is to get real people to navigate your site and give you written feedback of their experience. There are also many app development companies in India that sell fairly priced reviewing tools that you can use to conduct these kinds of usability tests. These reviewing tools come with video reviews that give you first hand feedback on how the people are faring on navigating your website in as little as one hour: you can pick facial expressions, hand gestures and many other body language cues. Tools like these are not just limited to testing your website, as they can test games, prototypes, mobile sites and apps as well. You can even use it to test your competitor’s website! Using high quality and relevant images for your website should be non-negotiable. Optimization of images for usability is vital as it will either visually appeal to your potential conversions or repel them. Relevant images give maximum impact to your target audience as well. For example, you will be ill-advised to use images of elderly people to sell sports shoes to teenagers and vice-versa. Then again, it beats sense to use all the relevant images if they are not clear in the first place. Be sure that your images are not out of place, otherwise they will stick out like a sore thumb on the website. Today, users browse different websites from different platforms - PCs, laptops, iPad and smartphones. Users must be able to navigate your website from the different platforms to maximize their UX. Stick to simple layouts on all your web pages. Minimize or completely eliminate horizontal scrolling as users find it really annoying, irrespective of the device they are using to browse with. Thus, it is 100% clear that usability test apps can help in enhancing the overall user experience of your website or product. So, if you keep working on utilizing usability test data, then you have better chances to engage more users which in turn will boost your business conversions.